A whole year analysis of riverine dissolved organic carbon (DOC) concentrations in the Xijiang River (XJR), South China, showed that the mean riverine DOC concentration (1.24 mg L−1) in the XJR was notably lower than the averaged value (5.75 mg L−1) of the global riverine DOC concentration in several major rivers. There is an inconspicuous monthly fluctuation of the DOC signal in the XJR, but on a semi-yearly time scale, however, the riverine DOC concentration had significant difference between hydrological seasons. The DOC level during the flood season (1.18 mg L−1) was less than that during the nonflood season (1.40 mg L−1). Owing to the concomitance of the flushing and dilution effects of the runoff during the high-water period, the variation of riverine DOC concentration with discharge in the XJR differed from that reported in many other major rivers. The DOC export flux above the city of Wuzhou was about 0.62× 106 g C km−2 yr−1. The DOC transported during the “056” Massive Flood period comprised 30.35% of the annual total, while the discharge accounted for 36.32% of the total annual flow. 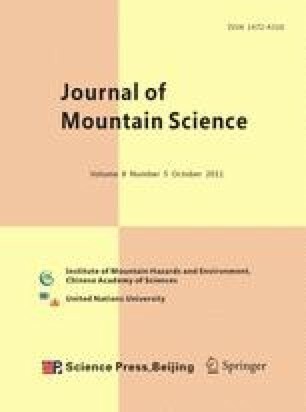 The characteristics in riverine DOC concentration in the XJR were attributed to the combined effect of the geomorphologic, monsoon climatic and hydrological processes as well as land-use within the drainage basin.